With digital and social media, calling a company on the phone to resolve issues or get questions answered has almost become a last resort. 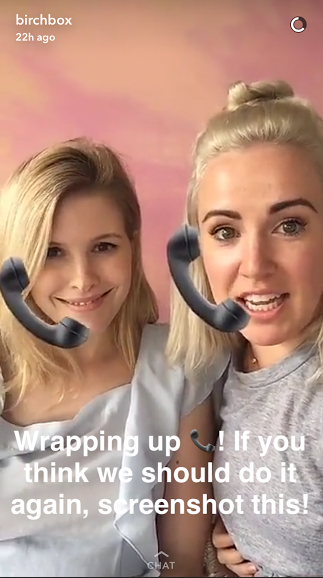 But what if, for one hour, you could call the social media team of a company you admired—all via Snapchat? Would you do it? This is the inspiration behind a new experiment from the social media team at Birchbox on Snapchat. 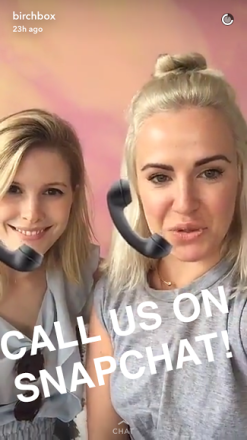 To test out Snapchat’s video chat and voice call features, Birchbox decided to create a Snapchat story telling fans they could call them on Monday, July 18 between 2 and 3 p.m. EST. In an interview with Digiday, Juliette Dallas-Feeney (senior social media manager for Birchbox) confirmed that she and Lorelei Orfeo (senior manager of trends and content development for Birchbox) fielded around 30 calls. The calls came from a range of ages, from teens to moms of teens, and were on a range of topics. At the end of the hour, the Birchbox team asked fans to screenshot their Snapchat story if fans wanted them to do this again. The company received over 100 screenshots and numerous video messages, prompting the company to announce plans to host a live chat with fans on Snapchat once per week. Birchbox is also planning for its annual Customer Appreciation Day in September and will live chat with Snapchat fans throughout the day. So what can you learn from this Snapchat experiment? The ever-evolving social media ecosystem makes it a good test environment. There’s something endearing about transparently testing something new and learning from fan feedback if the test is adding value. If you do not take a leap and dare to fail—or succeed—on a program that you believe will drive a positive customer experience, you’re blocking your own path to innovation. Even if something is a complete failure, you should always be able to learn and pivot accordingly from it. Part of what makes this experiment so great is how it showcases the people behind the Birchbox brand on social media. 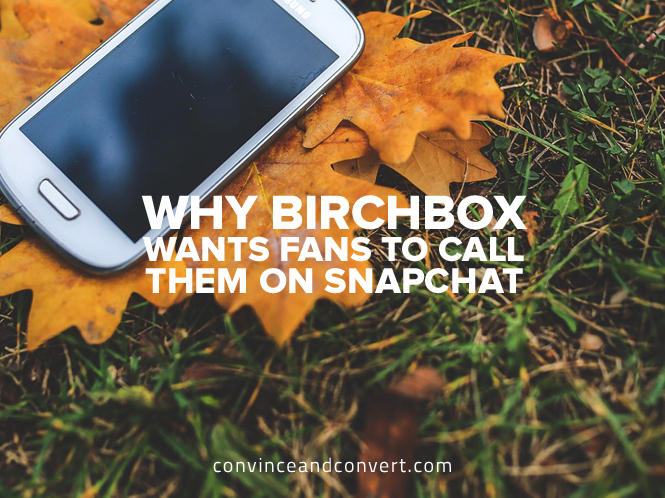 Snapchat is a platform known for more personalized, one-to-one experiences, so it makes sense that Birchbox can maintain the voice and values of the brand while putting the social media team in the spotlight. Especially in this case, where Birchbox is asking customers to call them and ask them anything, showcasing the people on the other line puts a human face on the program and facilitates new levels of connection with the company. At the end of the day, the more you know your customers—their needs, wants, pain points—the better you can serve them. Social media has leveled the playing field by allowing consumers to share their opinions, from wishes to frustrations and even rave reviews, all in real time. If you’re not tapping into this real-time, never-ending focus group, you’re doing your company a disservice. Knowing your customers also inspires new levels of creativity, prompting experiments like Birchbox’s. People may not have specifically asked to call the company on Snapchat, but by understanding their customer needs and wants, the Birchbox team was able to translate an experiment into an ongoing program to drive better customer experiences.